Some do it for fun. Others do it for the fame, but most of us will have to make money at some point. Here are some ideas about how to make money on Periscope. You won´t get rich with it (yet! ), as Periscope is still very small, but it won´t hurt to get some extra dollars in your pocket, will it? Sell a product or service:Are you working for a company that offers products or services? Or are you self-employed? That´s great, since Periscope offers many ways to talk and listen to your audience. Explain your product/service, give a sneak peek or a discount code, and use Periscope as a sales channel. You shouldn´t overdo this, but from time to time, no one has anything against a great offer, and I am sure there is something special that will add value to the lives of your viewers, and they are willing to pay for it. If you need help, just leave me a comment about your product/service, and I am happy to help you. You can also take a look at my resources page to see what products and tools I use to boost my success. Promote others: If you have already gained some viewers and followers, you could offer to invite them and ask for money in return. There are many options to take advantage of your traction, which I described in my master collaboration & giveaways course. Educate people: Periscope offers the opportunity to stream only to pre-selected followers, so why don´t you use Periscope as a kind of fee-based webinar tool? A great way is a broadcast, where you can proof your expertise, and if people have questions about it, you can offer to do a second stream, where you will be more specific and give customized feedback. Of course, people need to pay for this one. There are great payment websites, like Amazon Payments, PayPal, Google Checkout, and many more, which are easy to set up and safe, and people can pay you instantly. Find sponsors: Are you talking to a growing audience on a daily basis? This is great, since more and more companies are looking for new ways to market their products. Mobile Live-streaming is the next big thing, because it offers great ways to engage with the audience. You could simply wear a shirt with the logo of a company, unbox their product to talk about it, or do a survey for them. Be creative and think about a niche you are interested in. Upload on YouTube: Make sure to save your broadcast on your phone, and then simply upload it on YouTube. You just need to enable “Monetisation”, and you are ready to make money with your broadcast. The most important part is to be creative and keep in mind: You MUST solve a problem or create value to gain attraction, which will lead to making money. You find many ways to rock your stream in this blog, so take the time to educate yourself, subscribe to my newsletter, and practice, practice, practice! If I can help you with anything, please feel free to contact me at any time. Do you want me to help you find ideas about how you can earn money with Periscope or Social Media? 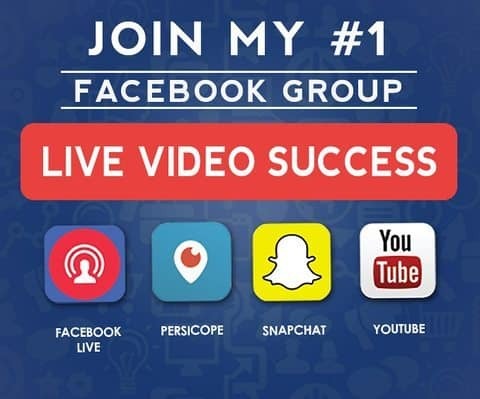 Click here to learn my 5 fast steps to boost your success with Periscope! Thanks a lot Bro. Look forward to see you in the next scopes and on skype. This is awesome. Thank you Alex. Just monetised my You Tube Business Page. Didn’t know about this. Nafisa, from England. It seems like nobody is resonding to my messages. Why? What´s your question my friend?